While Marillion is by no means a favorite among radio jockeys, it is an elite group to many progressive rock fans. When Neal Morse, Mike Portnoy, and Roine Stolt, giants in the progressive rock genre, needed a bassist to put together the supergroup Transatlantic, they looked no further than Pete Trewawas of Marillion. Go to progressive rock concerts or festivals, you are bound to find someone proudly wearing a Marillion T-shirt. Marillion was responsible for the second coming of progressive rock. Just as Judas Priest came up with the guitar line used frequently in rock performances, Marillion invented many of the symphonic sounds and passages heard in today's neo-progressive movement. Listen to bands like IQ, Pallas, Pendragon, and Knight's Area and there is no question that their roots are firmly planted in Marillion soil. 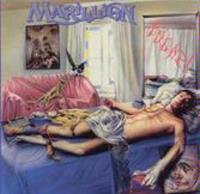 Marillion was formed in 1979, so you know they came before all the others. When it comes to Marillion, fans will constantly rave about Script for a Jester's Tear, Misplaced Childhood, and Afraid of Sunlight. However, there are numerous other gems in their discography. Their shining star was a vocalist named Fish. Steve Hogarth took his place and adequately filled the big shoes he left behind. Steve's voice is distinctly different from Fish, but still wallops on the heartstrings. 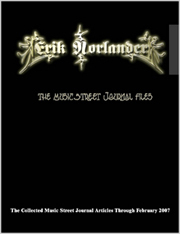 This new line-up with Steve continued to churn out new classics such as Brave, Marillion.com, and Anaraknophobia. Their style has changed subtly over time and the group continues to pump out new works. Their latest Marbles has been well-received. In the present day, fans have walked away from Marillion, followed Fish to his solo work, or waited on standby for new releases. With almost two dozen albums to date, there is much to revisit in their past. Fugazi happens to be one of these overlooked albums from the Fish era. While the album has slipped by many fan's detection, it is worthy of attention. Fugazi is a quality production with excellent singing and songwriting. Fans would be losing valuable property leaving this one at the wayside. The beginning to the album is phenomenal. It's like water in a pot that gradually starts to simmer. The bubbles initially form slow and small. This part of the passage is Egyptian in nature. Without warning, Fish jumps right into the pot. The boiling water overflows. There is definitely a Phil Collins influence on this track. This piece has a great melody between the keys and bass. The guitar strums in an explosive manner. The Genesis vibe continues. I've never heard Fish sound so much like Phil Collins as he does on the two opening tracks. When Fish sings the words Punch & Judy, he sounds like a boxing trainer directing a fighter to throw a combination of quick punches. This short piece is a quick drill around the ring. The pace is greatly decreased. While the preceding tracks were a bombastic blitzkrieg on the senses, this one is more like a nursery song. The adults downstairs get rowdy at times. Fish attempts to divert the baby's attention with a soothing lullaby, but eventually the commotion gets out of hand. The unruly guests are hushed and the baby drifts off to sleep. It starts with a sequence similar to Psychobabble from the Alan Parson's Project. Since Psychobabble came two years before, it is certainly possible the memorable melody stuck in Marillion's mind as they were writing the material. The rest of the song is typical Marillion fare. The keyboards are quite eerie. The whole piece is somewhat spooky. It is sure to make a listener utterly uncomfortable. Fish's voice lurks in shadows and jumps out from around corners. A flashlight provides a break from this darkness. This section features a playful keyboard solo with pleasant atmospheric layers. When the batteries die out, the music returns to a slow rendition of Men at Work's Who Can It Be Now? The guitar tiptoes behind enemy lines with a rolling riff. The piano follows close behind with a delicate ditty. A synthesizer leads the infantry of men. Many feet march to the gate of their enemy. The sound is big and broad with sluggish steps. The battalion waits for its order. Surrender comes with no force at all. This is the best song on the album. The keyboards, bass, and guitars are wild. The first part is reminiscent of a Transatlantic epic. The middle is a reminder of Fish's broad talents. He belts out lyrics in a combination of monologue, singing, and chanting. The album ends on a progressive interpretation of Rawhide.